Simple and classic designs are always en vogue and can´t be wrong. 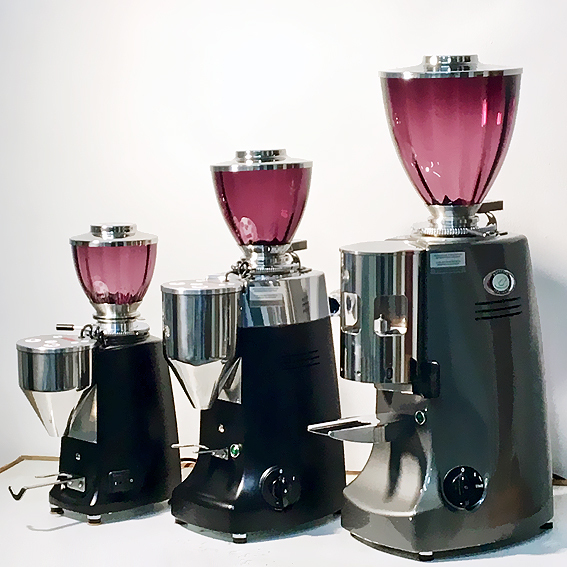 The Rancilio Silvia is a home barista bestseller espresso machine for many years, the Mazzer Mini E is still a top seller for home and small professional use when it comes to coffee- and espresso grinders. A good reason to arrange a little set-up with those famous tools adding our TORR TOYS Mazzer glass hopper light blue** 300 bubbles. The light blue is one of the strongest colours of the season. You can also see a TORR Goldfinger tamper 58.5 convex, a Motta pitcher Rosso 350 ml and a TORR knock BoXx Inox in the picture. ** the light blue glass has a little less saturation and a warmer touch in real. colours might be different, each piece of glass is unique.